To book your hair cutting & styling appointments please call our Gravesend salon on 01474 53 44 55. 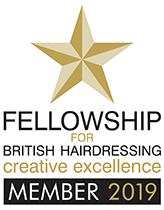 Please visit the salon for a free cutting & styling consultation. Children’s reduced cutting prices are available Tuesdays, Wednesdays, Thursdays and Fridays, including the two late nights on Thursday and Friday until 8. Children’s appointments made on a Saturday and Sunday will be charged the full adult Ladies and Gents prices. a luxurious mask treatment for coloured hair which contains pure natural ingredients that penetrate from roots to tips leaving your hair smooth, silky and frizz free as well as locking in your colour to prevent fade. BONDPRO+ is a luxurious treatment which will strengthen the hair fibre from within as well as preventing breakage it will make your hair look and feel significantly healthier, revitalized and deeply nourished. Its perfect for coloured and heavily lightened and bleached hair. this blowdry smoothing treatment will eliminate frizz, repair damaged hair and reduce your hair drying time by up to 80% making your hair easier to style. It enhances and locks in your colour and stops the colour from fading while increasing shine and smoothness. The service takes between 90 minutes to 2 hours & the results will last up to 4 months if you are using the nanokeratin aftercare shampoos and treatments (both £20 each).